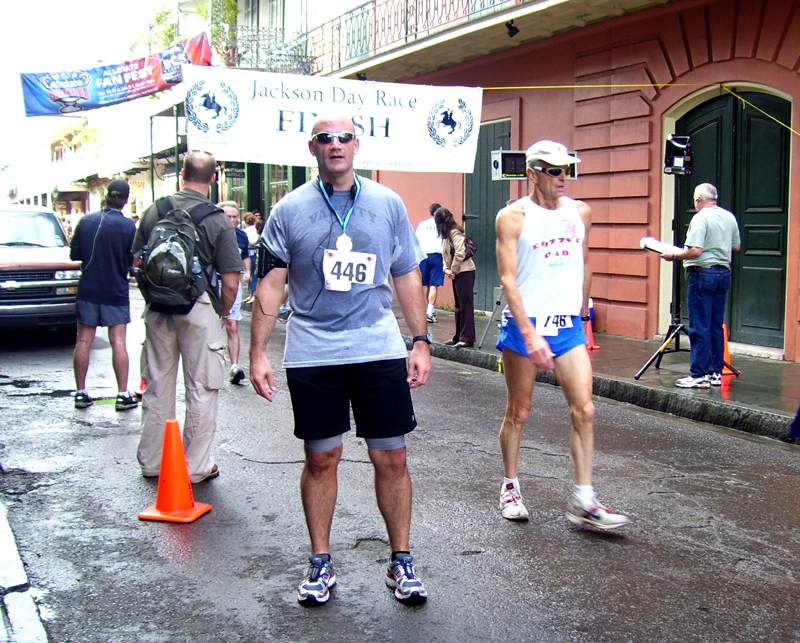 The Jackson Day race, put on by the New Orleans Track Club, was my first race of the season. At only 9K it was a more than manageable race and I expected to get a somewhat decent time. 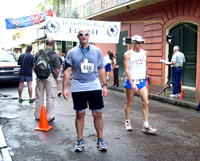 The race started at the far end of City Park and ran to the French Quarter in downtown New Orleans. The course was fairly flat with the exception of one overpass that went over the interstate just before mile 2. I started out really strong with a good 8 minute per mile pace but the overpass slowed me a bit and I cranked my pace back to around 8.5 - 9 minute miles. I ended up finishing in the middle of the pack at just over 52 minutes. Overall it was an enjoyable run and I will definately be making it one of my annual races.